Need a healthy breakfast that is sugar free and delicious?! 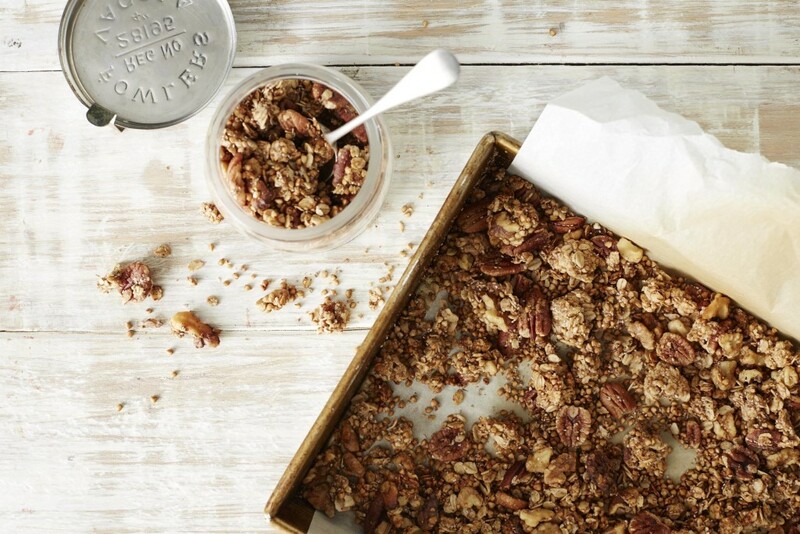 Make a batch of this Chunky-Monkey Banana Bread Granola and you'll be waking up early for breakfast! The best part is we've found a different way to make it chunky: with almond butter and bananas - delicious and so easy to make! 1 large ripe banana, mashed (about 1/2 cup). 1. Preheat the oven to 180ºC/350ºF/Gas Mark 4 and line a large baking tray with baking paper. 2. Add all ingredients to a large mixing bowl. Using a wooden spoon, mix all ingredients until everyday is nicely coated. Scoop onto the prepared baking tray and roughly flatten out. You still want to leave a few large chunky pieces. 3. Place in the oven and cook for 20 minutes, turning halfway. Once nicely browned, remove granola from the oven and allow to cool completely, this will make your clusters hold together better.